SO MANY PANELS! EVEN MORE PANELS! SEASONAL PANELS!!! HOFFMAN DIGITAL PANELS! KAFFE / GRUNGE FABRICHome Page Colors Solid Fabrics Aqua Fabric Black Fabric Blue Fabric Brown Fabric Burgundy Fabric Camel Fabric Chocolate Brown Fabric Coral Fabric Cream Fabric Flamingo Pink Fabric Fuchsia Fabric Gold Fabric Gray Fabric Green Fabric Hot Pink Fabric Hunter Green Fabric Kelly Green Fabric Lavender Fabric Light Blue Fabric Lilac Fabric Lime Green Fabric Navy Blue Fabric Olive Green Fabric Orange Fabric Pink Fabric Purple Fabric Red Fabric Royal Blue Fabric Rust Brown Fabric Tan Fabric Taupe Fabric Teal Fabric Turquoise Fabric White Fabric Yellow Fabric Families Animal Prints Basic Blender Fabric Basket Weave Fabric Batiks Fabric Big Dots Fabric Black and White Garden Fabric Black Whirling Branches Fabric Branches In The Woods Fabric Breezes Fabric Burnin' Up Celtic Cross Fabric Checkmate Fabric Classic Bandana Classic Calico Fabric Classic Houndstooth Fabric Classic Paisley Fabric Climbing Blossoms Fabric Color Weave Blender Fabric Colored Scribbles Fabric Colors Exploding Fabric Connected Poppies Fabric Cool Camo Fabric Cowgirl Calico Fabric Crazy Commas Creeping Cactus Fabric Crumble Fabric Damask Fabric Damask Wannabe Fabric Dandelion Seed Explosion Fabric Delightful Daisies Fabric Denim-esque Dreamy Blooms Fabric Embroidered Petunias Fabric Faded Flowers Fabric Fancy Foliage Fabric Fantasy Feathers Fabric Feathery Swags Fabric Fiddleheads Fabric Field of Daisies Fabric Flames Floral Confetti Fabric Floral School Fabric Floral Trellis Fabric Floral Illusions Fabric Flower Patch Flowers Flowing Fabric Flowers in Lace Fabric Frosted Window Fabric Graceful Rhapsody Fabric Groovy Fabric Happy Springtime Fabric Heirloom Bloom Fabric Itsy Bitsy Flecks Blender Fabric Just Boards Large Chevron Fabric Large Quatrefoil Fabric Leafy Foliage Fabric Little Dots Fabric Little Tonal Posies Fabric Majestic Plumes Fabric Marble Fabric Mini Quatrefoil Fabric Mixed Cream Blooms Fabric Mixers Fabric Modern Bandana Fabric Nifty Flowers and Stems Fabric Packed Bloomin Flowers Fabric Packed Floral Fabric Pencil Strokes Perky Paisley Fabric Petals Fabric Pinecone Spray Fabric Pom-Poms Fabric Prickly Fabric Prickly Vines Fabric Random Stars Fabric Razzle Dazzle Fabric Red and White Garden Fabric Repeating Azaleas Fabric River Rocks Fabric Rope Links Fabric Runaway Vines Fabric S Factor Fabric Simply Scrolling Fabric Soda Bubbles Fabric Splish Splash Fabric Storm Clouds Fabric Stripe Floral Ticking Fabric Spinning Pinwheels Fabric Spirals Splotchy Blender Fabric Spot Dots Spring Blossoms Fabric Swingin' Paisley Fabric Swirling Marbling Blender Fabric Tonal Floral Paisley Fabric Tonal, Tiny, Trailing and Tangled Flora Fabric Tropical Hibiscus Fabric Twinkling Phlox Fabric Twist It Up Fabric Variegated Branches Fabric Vintage Charm Fabric Vintage Corsage Fabric Vintage Leaves Fabric Vintage Prairie Fabric White Hexes Fabric Whimsical Clover Fabric White Polka-Dots Fabric Wacky Cobblestone Path Fabric Whispering Orchids Fabric Wildflower Party Fabric Winding Vines Fabric Woven and Wispy Fabric Zappy Weave Fabric Novelty Animal Fabric Beach Fabric Beverage Fabric Bird Fabric Career Fabric Character Fabric Children Fabric Christmas Fabric Cowboy Fabric Dr Seuss Fabric Easter Fabric Farm Fabric Fish Fabric Flannel Fabric Food Fabric Fun Fabric Halloween Fabric Kaffe Fabric Licensed Fabric Metallic Fabric Music Fabric Nature Fabric Patriotic Fabric School Fabric Sewing Fabric Specialty Fabrics Sports Fabric Summer Fabric Travel Fabric Valentine Fabric Word Fabric Brands Alexander Henry Fabrics Andover UK Fabric Anna Griffin Fabric Benartex Fabric Carolyn Gavin Fabric Clothworks Fabric Concord House Fabric EBI Fabric Fabri-Quilt Fabrics Freespirit Fabric Henry Glass Fabric Robert Kaufman Fabric Hoffman Fabric Howard Marcus Fabric Ink Arrow Fabric Jessica Levitt Fabric Kaffe Fabric Kona Equivalent Makower Fabric Mary Engelbreit Fabric Mary Fons Fabric Michael Miller Fabric Moda Fabric MyStar Fabric Nancy Gere Fabric Northcott Fabric Paintbrush Studios Fabric Patrick Lose Fabric Penny Rose Studios Fabric Penny Rose Fabric Quilting Treasures Fabric Quilters Showcase Fabric Red Rooster Fabric Riley Blake Fabric Riverwoods Fabric RJR Fabric Springs Creative Fabric Springs Industries Fabric Stella Fabric Timeless Treasures Fabric Troy Fabric Westminister Fabric Whistler Studios Fabric Wilmington Fabric Windham Fabric Backing Basic Blender Branches in the Woods Calico Batiks Damask Wannabe Faded Flowers Blender Fiddleheads Floral Illusions Flowers in Lace Frosted Window Packed Floral Patriotic Petals Print Flannel Razzle Dazzle Solids Swirling Marbling Blender Tonal Floral Paisley Twirls Variegated Branches Vintage Bouquet White Fabric Winding Vines Bundles FQB One-Yards 10 Inch Squares Half-Yards Multi Color Half-Yards Same Color Panels SO MANY PANELS! EVEN MORE PANELS! SEASONAL PANELS!!! HOFFMAN DIGITAL PANELS! December 6 is the day they call St. Nicholas Day here in Poland. Traditionally children get a present from their mom and dad on this day. No, when my kids were small, we didn't celebrate it. I rebelled, figuring I was already spending enough money on my kids for Christmas - we didn't need to add yet another holiday just for the sake of a tradition that wasn't our own. Besides, we also have 2 December birthdays! I saw a lot of people in the stores buying presents. Some will say that they don't give big presents on this day, but I am sure that depends on the family. St. Nicholas was a real person who generously gave of his own wealth to the needy. At school, at least in a couple of my kids' elementary school classrooms, we gave some money to a parent who collected it and he/she bought each of the kids a gift that they got to take home on December 6 - all the kids got the same thing. Usually it wasn't very expensive, though - under $5. I found a you tube video that talks about this holiday. The lady speaks in Polish but it has English translation underneath her talking. You can check it out here! In many Polish households, the morning of December 6th, in Polish referred to as Mikołajki, is a blissful moment. This is when children find small gifts under their pillows, in their slippers or (nowadays more and more often) in a stocking carefully hang out for that purpose the evening before. The gifts are usually tiny – small toys or sweets are the most popular option, since bigger presents are still yet to be given on Christmas eve, by the very same person – Saint Nicholas, Father Christmas or Santa Claus. So why does he visit Polish kids twice a year? In the past it was on the Saint Nicholas feast when the little ones received gifts, and Poles generally did not hand out presents on Christmas Eve. 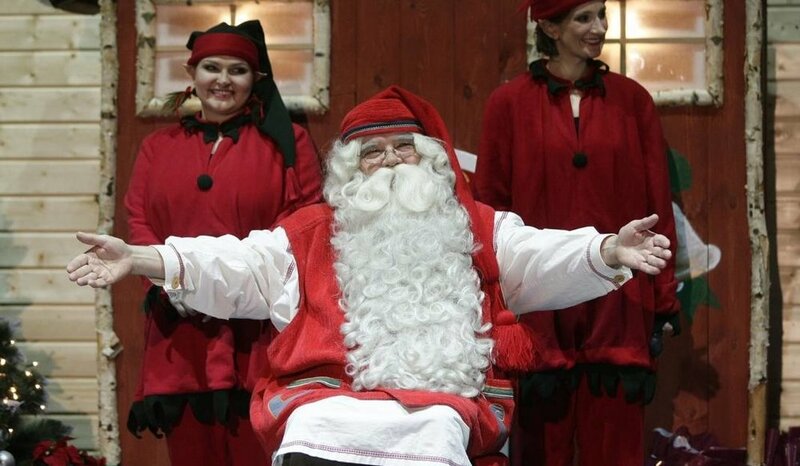 With time, when the Western customs of giving major gifts around Christmas started to reach Poland, it became natural that Mikołajki is just a prelude to bigger celebrations starting on December 24th. In some parts of Poland it is easier to distinguish these two gift-giving occasions, as Saint Nicholas is so tired after his special day, that he is replaced by Angel or Snowflake around Christmas Day. Nonetheless, in general most Polish children get to meet him twice a year. picture taken from google images Traditionally the children have presents stuck in their shoes which are cleaned up and lined up neatly. Like I mentioned before, we didn't celebrate this date in our own home. We already gave our kids advent calendars which had chocolate in them every day, and we had a birthday on Dec. 1 and one on December 20, PLUS 5 kids to buy presents for for Christmas day itself. So, I was pretty maxed out at that point. I figured they'd survive. They did. I'm not sure that they even cared. But it is a holiday and important to the Polish children! If you find yourself needing some fabric -be sure to check out what my sister has tor you! She has quite a bit available for you to choose from and the price is right! Price is by the Yard. This is a a couple of inches wider than regular Quilter's Showcase fabrics, along one selvedge, it's not been cut or bound. Copyright © 2019 · Quilted Twins, Inc.